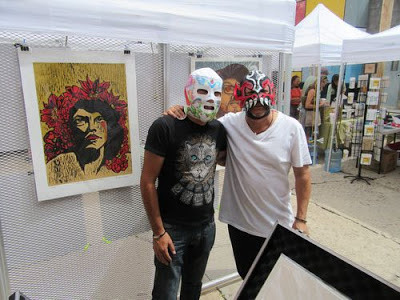 We will be showing 25 of our Mexican prints in a pop-up exhibition at the El Paso Museum of Art during Chalk the Block 2017 -- October 6, 7, and 8th. 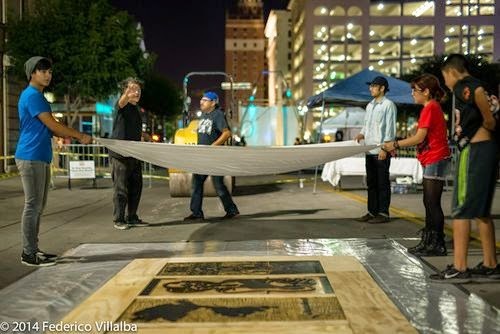 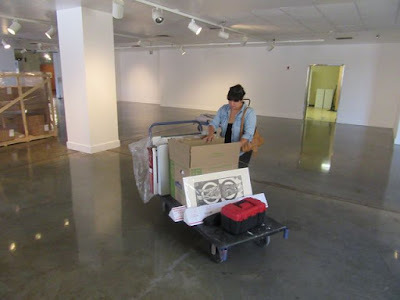 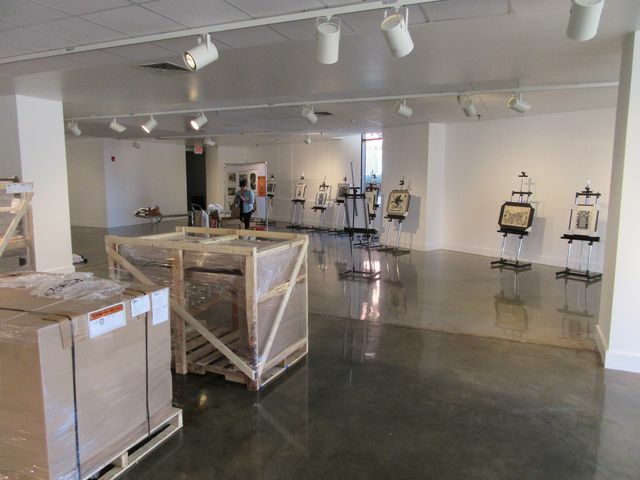 As a Bonus: on Saturday, October 7th, 2017 -- at 1:00 PM --, we will unbox and go through all the prints of the Oaxaca Collective Carpeta in our exhibition space at the El Paso Museum of Art during Chalk the Block. 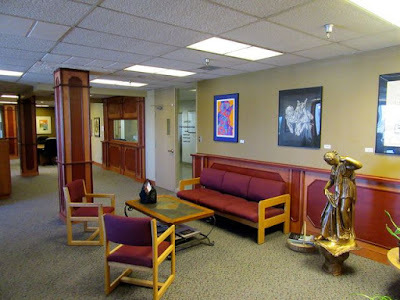 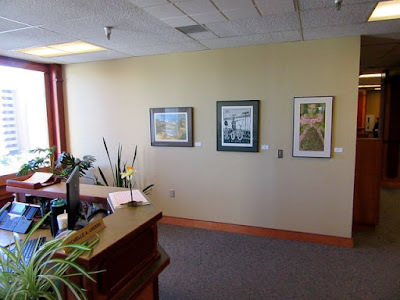 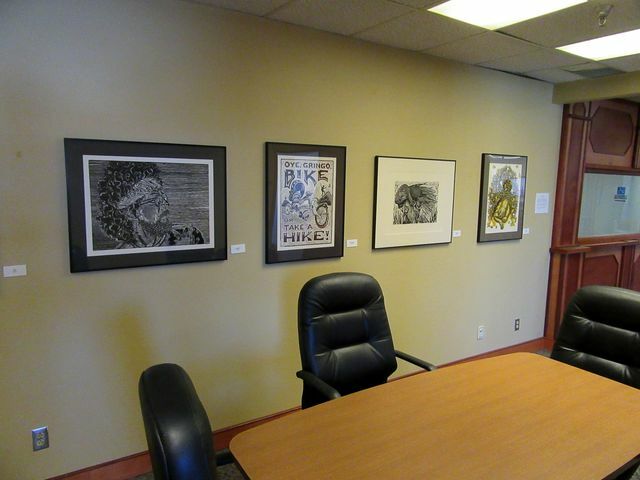 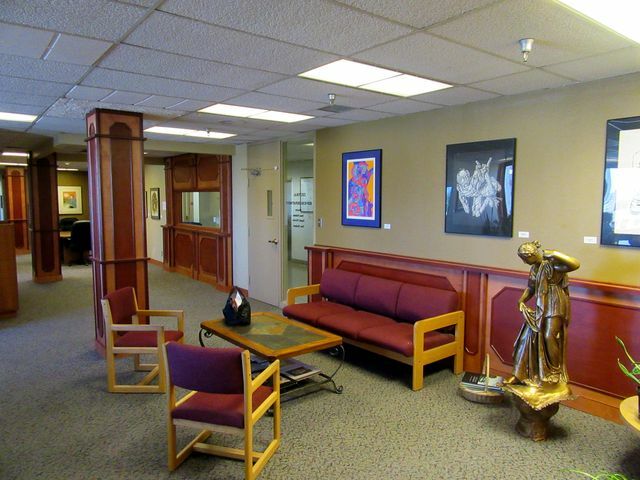 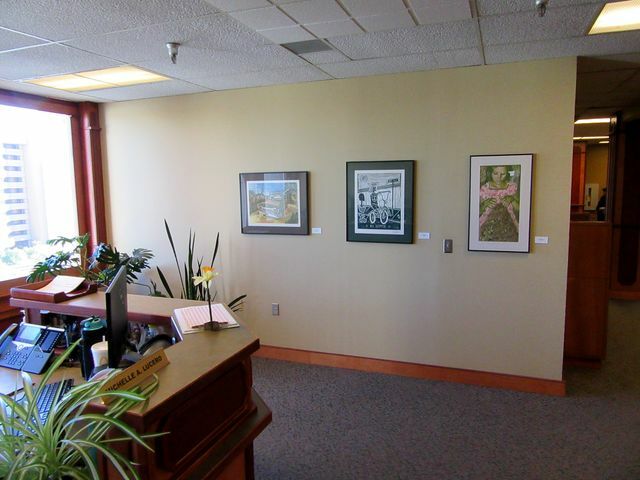 "De la Tierra al Cielo -- Del Cielo a la Tierra"
This exhibition is based on the previous exhibit last August in Albuquerque -- "From Behind the Wall : Prints from Contemporary Mexican Maestros." 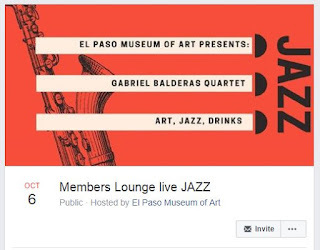 Our pop-up exhibit will be up during the "Members Lounge live JAZZ" featuring the Gabriel Balderas Quartet, on Friday, October 6th, 7:30 - 9:30 PM. 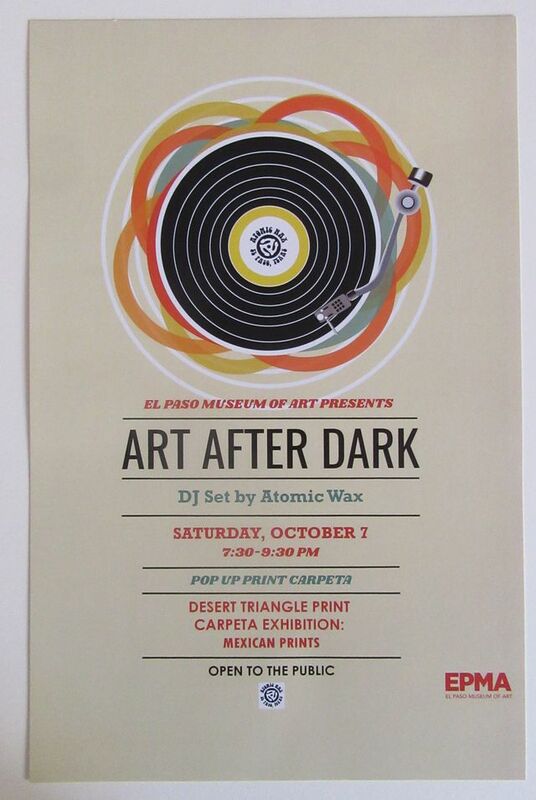 Free and open to the public, at the El Paso Museum of Art! 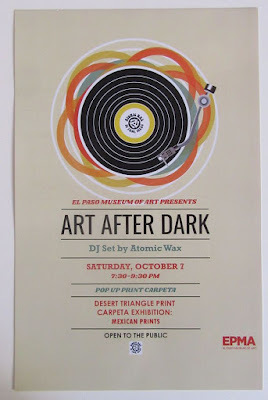 Our pop-up exhibit will be up during the "Art After Dark" DJ set by Atomic Wax, on Saturday, October 7th, 7:30 -- 9:30 PM -- as mentioned on Kiss FM 93.1 El Paso. Free and open to the public, at the El Paso Museum of Art! 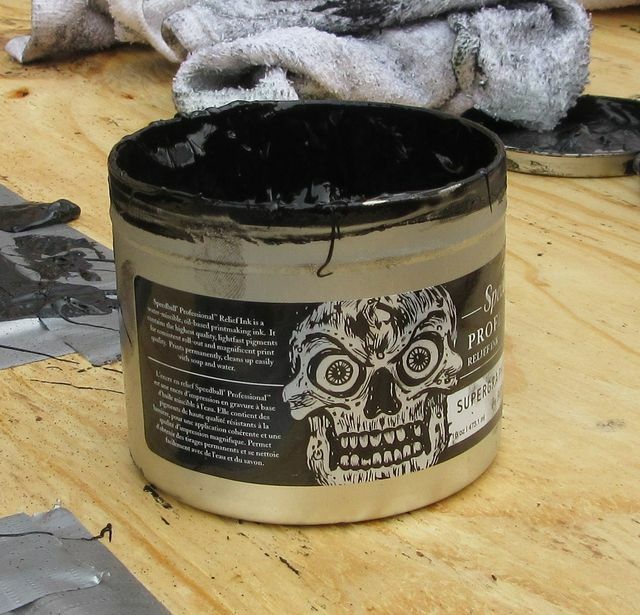 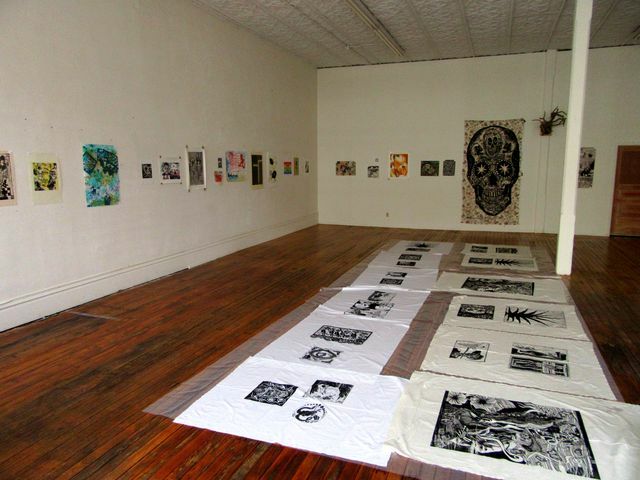 Mexico must be the current Mecca of prints, as there is a huge surge in printmaking just south of El Paso's border. 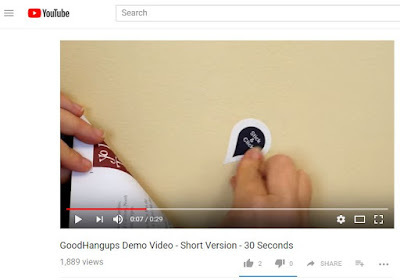 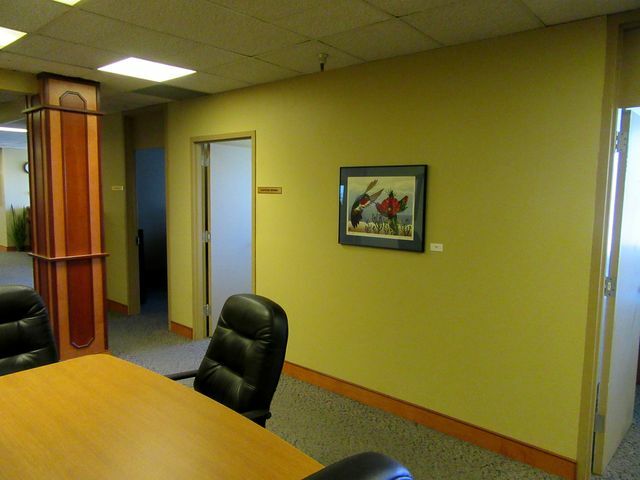 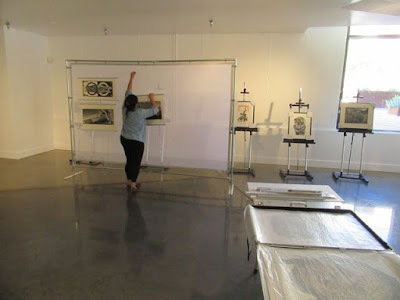 We followed the Mexican artists' example when we put together the Desert Triangle Print Carpeta of Southwest printmakers (exhibited at the EPMA in 2016). 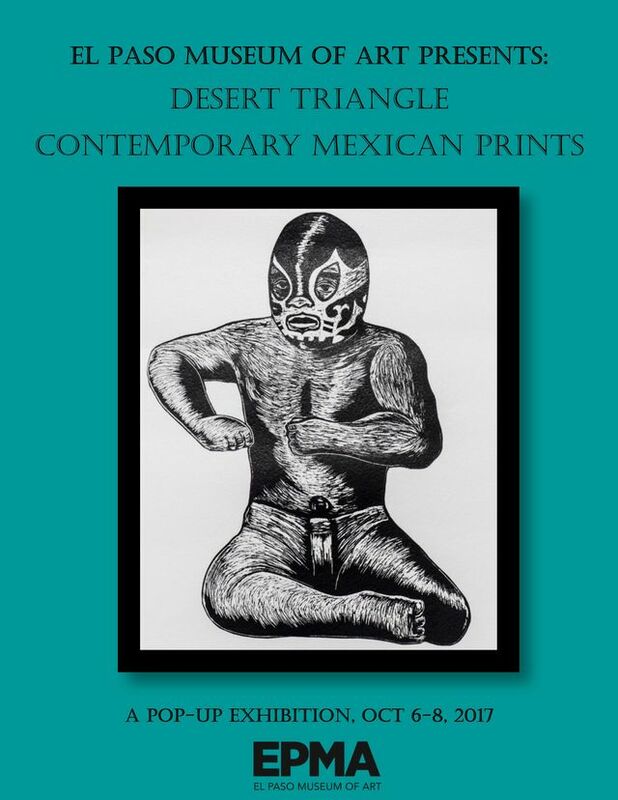 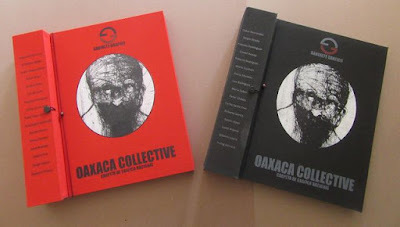 In fact, half of the Desert Triangle print editions were produced in Mexico -- Mexico City, Jalapa, and Oaxaca. 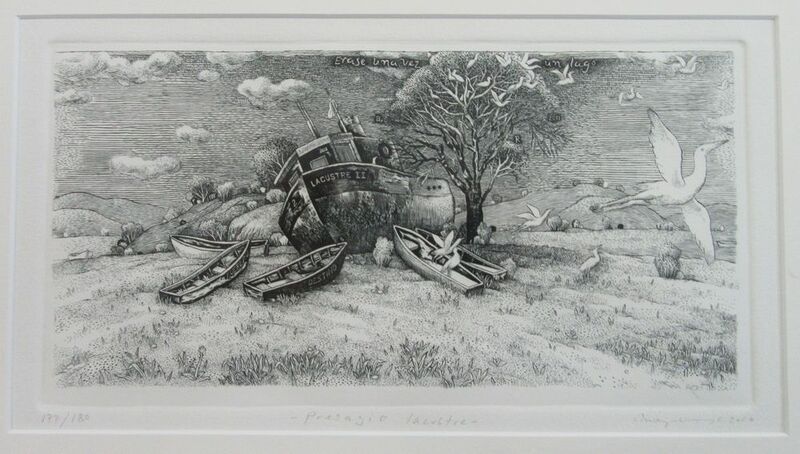 Naturally we could not resist collecting prints from contemporary Mexican printmakers -- and it is a selection of such that is currently on display. 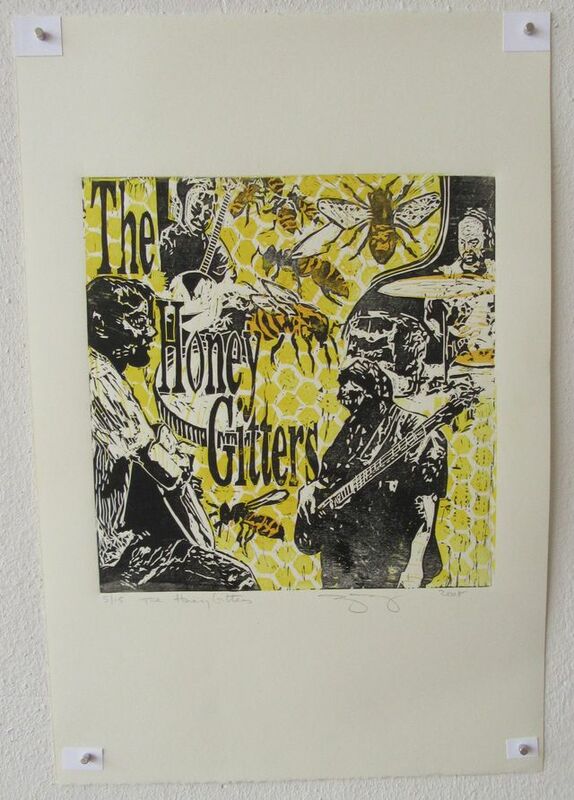 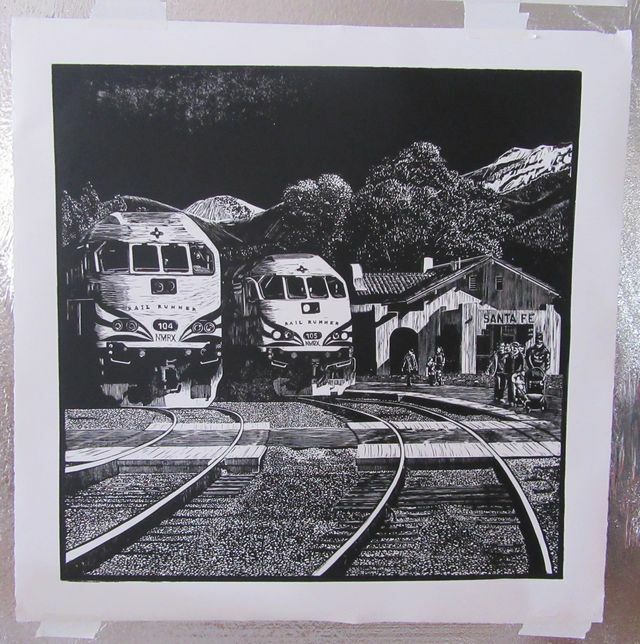 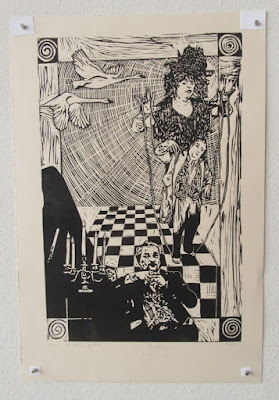 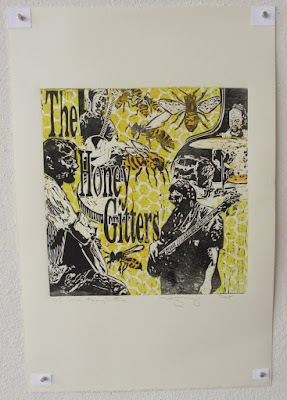 El Paso printmakers continue to work with Mexican printmakers. 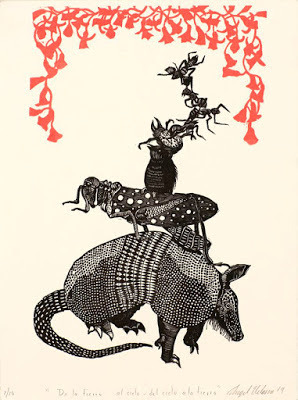 Later in October for instance, the Horned Toad Print Exchange goes on view in Oaxaca. This print exchange was organized by Manuel Guerra in El Paso, but includes Mexican printmakers. 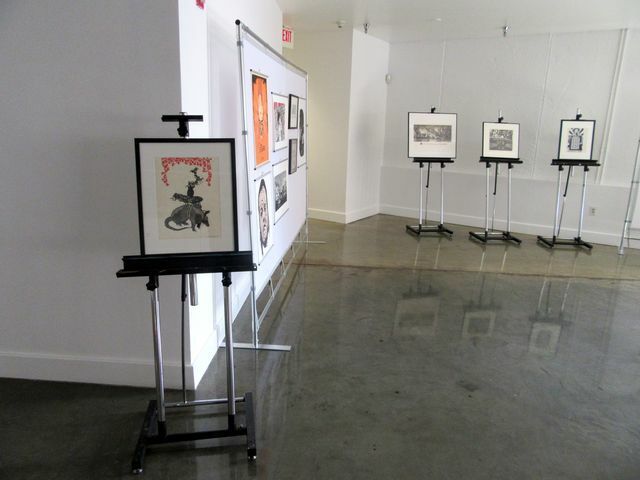 It would be wonderful to see this international art dialogue continue and flourish. 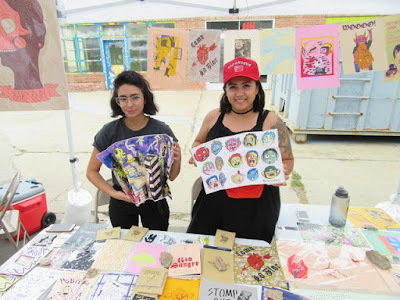 This exhibit is curated by Erica Marin and Krrrl, and made possible by the help of Federico Villalba. 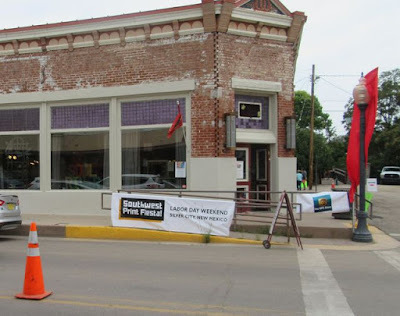 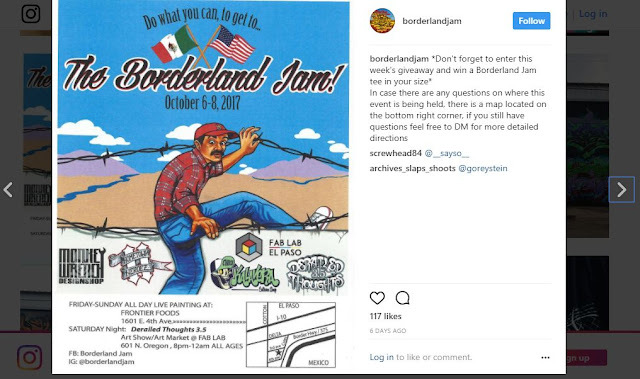 Also, during the same weekend in El Paso, the Borderland Jam is happening, not too far from downtown -- 1601 E 4th Street. They spray paint large walls graffiti style, and some great work has come out of that like in the past. 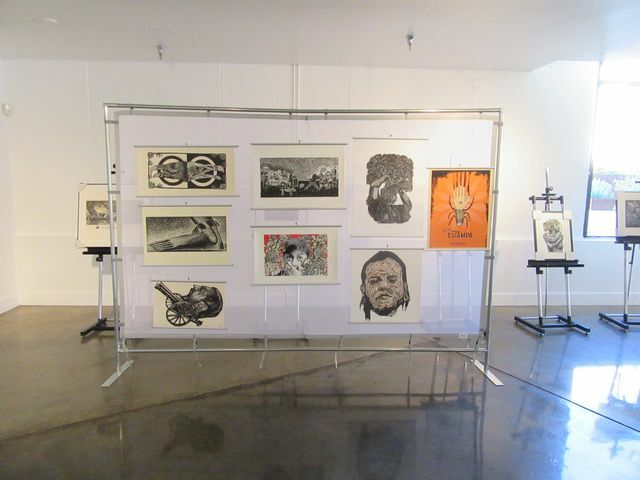 We posted some of last year's (2016) masterpieces on this blog. 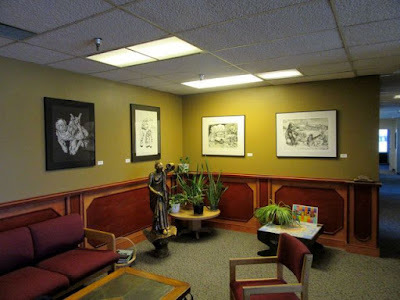 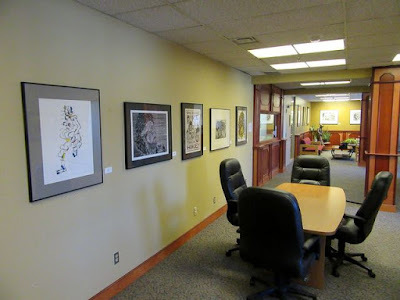 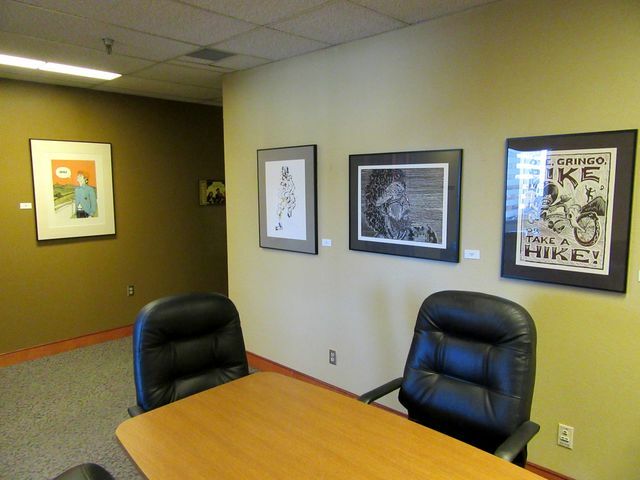 Plus the call to artists deadline is October 13th, for a print show at Remarque/New Grounds in Albuquerque -- 5th Annual International Juried Print Exhibition (as mentioned on CAFE). 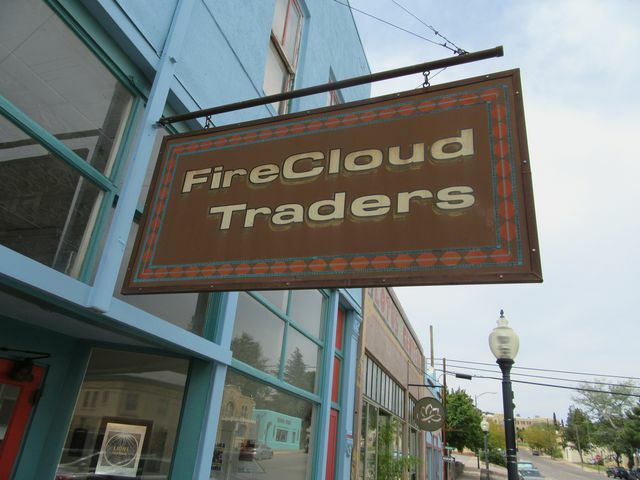 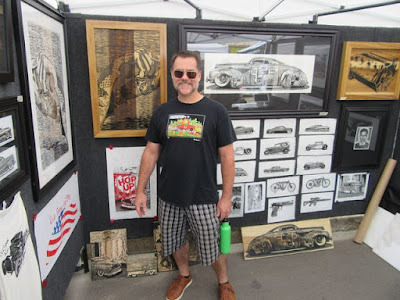 We drove down to Silver City for the second Southwest Print Fiesta (Sept 1 - 3, 2017) to see what the desert printmakers are up to. 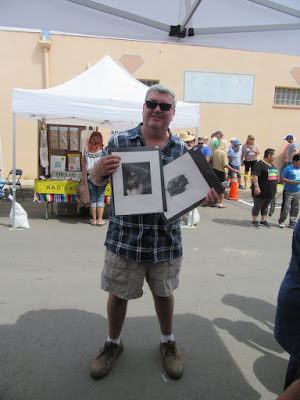 Last year we participated, selling Desert Triangle prints at the Southwest Print Fiesta 2016. 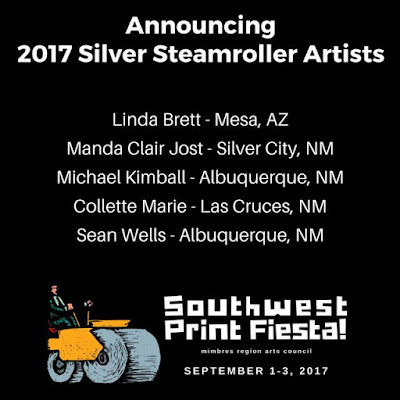 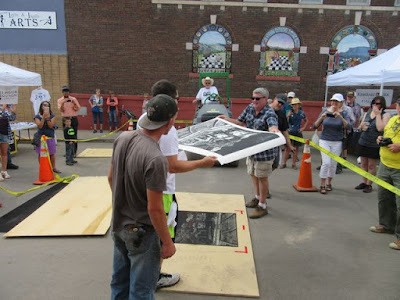 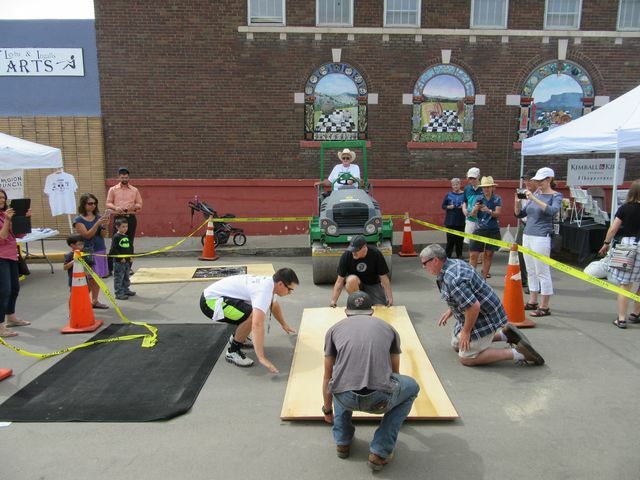 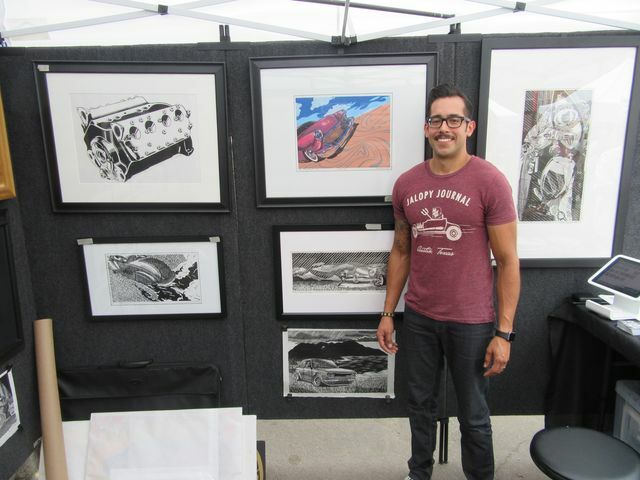 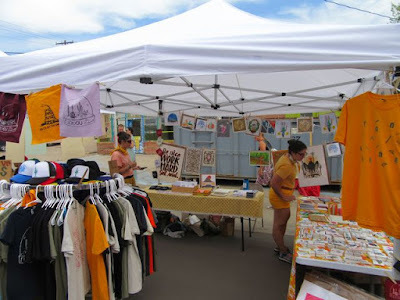 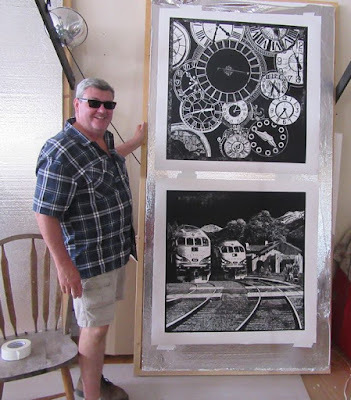 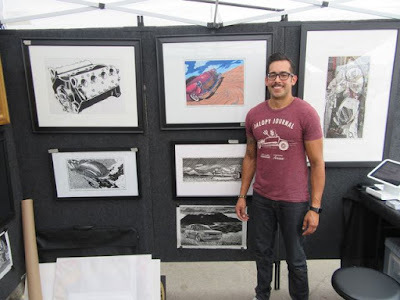 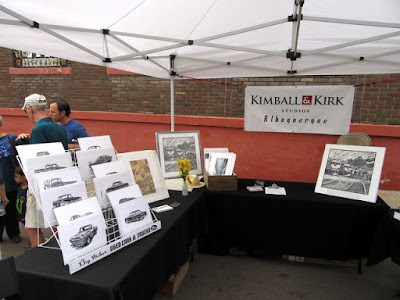 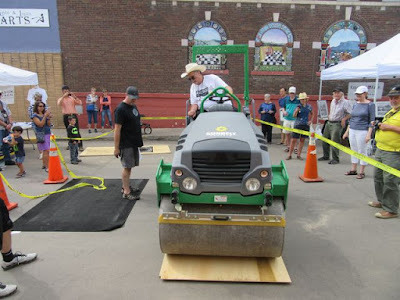 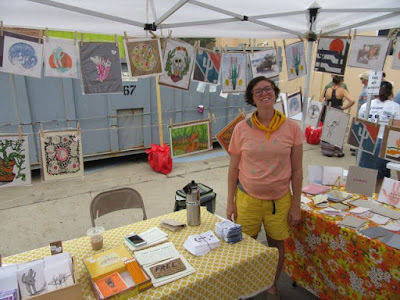 Several Desert Triangle printmakers made steamroller prints at Chalk the Block in El Paso in 2014. 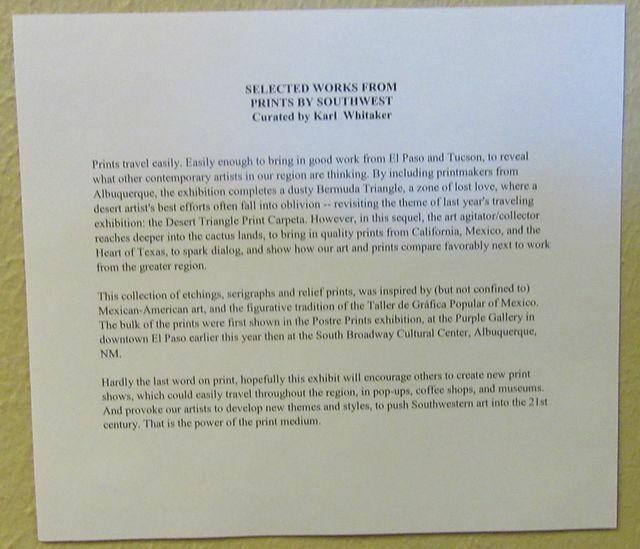 In fact, it was during that event that the Desert Triangle Print Carpeta was conceived.